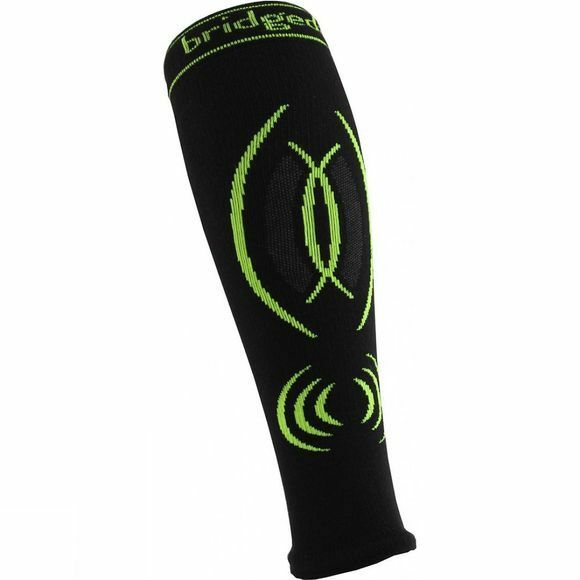 The Compression Calf Sleeve from Bridgedale provides graduated compression to aid blood circulation and improve oxygen supply to muscles to boost stamina. Developed to aid training and competitive performance, the close stretch fit reduces muscle vibration and enhances recovery. Coolmax fibres wicks moisture and help regulate temperature.